Any orthodontist will preach for safeguarding your Invisalign trays when they are not in the mouth. You get a special box to keep them while eating and you spend too little time without them on your teeth, it’s almost impossible to misplace them. ALMOST. Three weeks ago I was brushing my teeth in the bathroom, after taking a shower. Even if I am pretty careful with the Invisalign aligners, this time I let them on the sink. And then one fell. My sink is very close to the wallk, creating a very narrow space, enough to have the tray go all the way down to the ground and still enough to not leave me any possibility to retrieve it. The first thing you should do is call your orthodontist to tell him about the problem. Sure, right that moment there’s nothing he can do since it will take some weeks for the Invisalign trays to be sent again from Align Technologies to you. It’s still a good idea to discuss this and have your doctor know about this. Until you get your aligner(s) that are missing, you’ll keep on wearing the latest ones. NEVER THROW the latest aligners. Otherwise you’re indeed in deep doo-doo. If you’ll have the missing set sent to you, wear the aligners you aready wore for 2 weeks to keep the teeth in that position. In this case your trays will be a sort of a retainer, till it’s all back to normal. This will slow down your treatment a bit, but it’s still all under control. Such things do happen, so it’s not quite the end of the world. Sure, I didn’t practice what I preach entirely. I took a chance and it looks like it was still OK. I wore the latest aligner (I lost the lower arch tray) for the time I should have worn the new one. The upper teeth were having the prescribed aligner, the lower ones the last one, which I wore for 2 weeks already. The time came for the 7th set to be used and I tried to place the new aligners. The top arch was smooth, the lower one worked pretty well. I didn’t notice a huge difference in the teeth placement, so I was able to fit no.7 after no.5 with no issues at all. This doesn’t mean it’s OK to misplace aligners or solve issues on your own. I was lucky. After over 3 months in the treatment my teeth are very mobile. 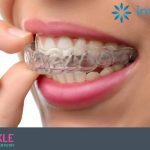 They move easily and were able to adjust to the “steep” difference between the aligners. When I thought about “jumping” from no.5 to no.7 I also took into account the fact I have to wear 37 aligners on the lower jaw and most of the work is done (we have to rotate a bit some teeth and bring two molars in front to close some gaps). The biggest gap is closed with a power chain tied to a mini-mold and mini-implant so the “work” is done by this too, not just Invisalign. As you can guess I didn’t expect too much difference between the aligner sets and I wasn’t wrong in this. The conclusion I’d like to present is that misplacing an aligner is NOT the end of the world. Sure, it’s important to try and pass the treatment time without such incidents, but if they happen keep your cool. Discuss with your orthodontist and you’ll be able to get to a common decision. NEVER throw the latest aligners, you’d be in trouble if you didn’t have any aligners to wear at all. And do wear that Invisalign as much as possible (over 20 hours if possible) because your treatment depends on you. 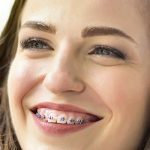 Next Next post: Know your Orthodontics!